How did they know Mr. Webber and I have birthdays at the end of the month? 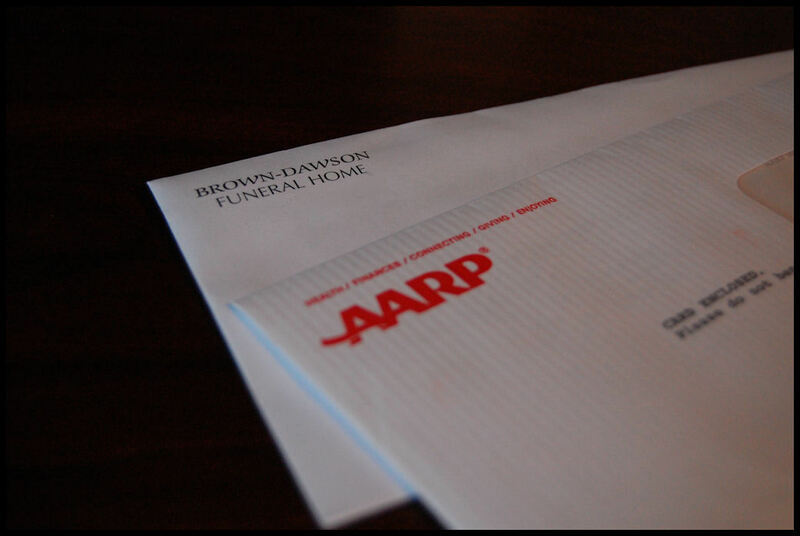 AARP knows everything...They're just like the IRS! My husband shares the same name as his father and grandfather so AARP sent a card in "his" name when he was only 25! I still like to tease him about being older than he claims to be! OMG, I get stuff like this too, even for Medicad and I'm only in my 30's! drives me bonkers! Think of the discounts you'll get.